The Delhi HC granted bail to two businessmen, arrested by the ED in connection with its probe in a Rs 8,000 crore black money racket. NEW DELHI: The Delhi High Court today granted bail to two Delhi-based businessmen, arrested by the Enforcement Directorate (ED) in connection with its probe in a Rs 8,000 crore black money racket that also allegedly involves RJD chief Lalu Prasad's daughter Misa Bharti and her husband. The agency had on December 23 last year filed a charge sheet against Bharti and her husband. A trial court had on December 8 last year denied bail to the two businessmen, Virendra Jain and Surender Kumar Jain, against which they had moved the high court. Justice Mukta Gupta granted the relief to them saying the nature of evidence in the case was primarily documentary which has been collected by the probe agency, the trial was likely to take some time. If convicted, the maximum sentence that can be awarded would be seven years in jail. 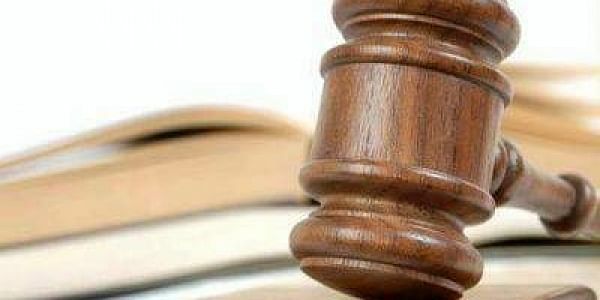 "It is, therefore, directed that the petitioners be released on bail on furnishing personal bond in the sum of Rs two lakh each with two sureties of the like amount, subject to satisfaction of the trial court, further subject to the condition that the petitioners will not leave the country without the prior permission of the court concerned," the high court said. It also noted that the duo have remained in custody for more than 10 months. Another reason which the high court took into account while granting them the relief was that they have already been given bail in the complaint by the Serious Fraud Investigating Office (SFIO) in connection with the same transaction which is also the basis of the ED case. The transaction in question pertained to laundering of Rs 64.70 crore unaccounted income of a Delhi-based firm through companies controlled by the two in the guise of share subscription money. The ED had contended that the two accused had received over Rs 1.11 crore as commission on the total accommodation entries of Rs 64.70 crores. The probe agency had also contended before the high court that the transaction in question was part of the black money racket in which "accumulation of huge credit and debit summations was made to the tune of Rs 8171.66 crores and the whole process of circular flow of funds was conducted through rotational transactions in the accounts of various companies". The court, however, noted that the probe agency did not give any clear figure about the financial stability of the companies allegedly involved in the rotational transactions of over Rs 8,000 crore and the amounts available with each of them. The money laundering case was initiated after the corporate affairs ministry had ordered an SFIO probe into affairs of various companies allegedly involved in the money laundering and black money racket. On the basis of the investigation report of SFIO a criminal complaint was filed against 31 accused persons, including the two brothers, for violation of provisions of the Companies Act and for the offence of cheating under the IPC.